A perennial favorite of cherry lovers everywhere. Dough is kind of pain ... but worth it! Cream butter and sugar. Add almond and salt, then flour. If dough is very crumbly add a teaspoon or two of water. Dough should be fairly stiff. Wrap dough around cherry. Bake 12 minutes. Dip in icing while slightly warm. Icing - just mix the two things together until sugar melts. Add a little more liquid if needed to acheive desired consistency. PS. 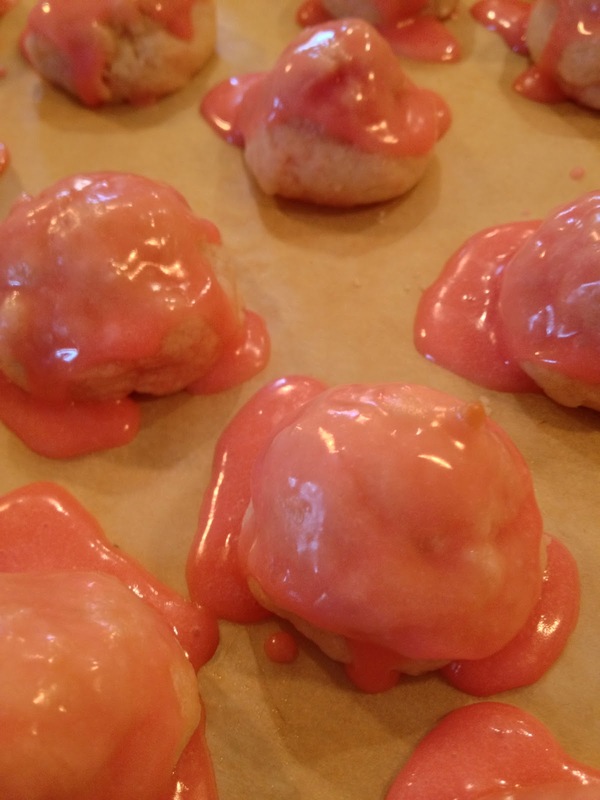 this is basically the same dough/recipe as the Candy Kiss Bon Bons.